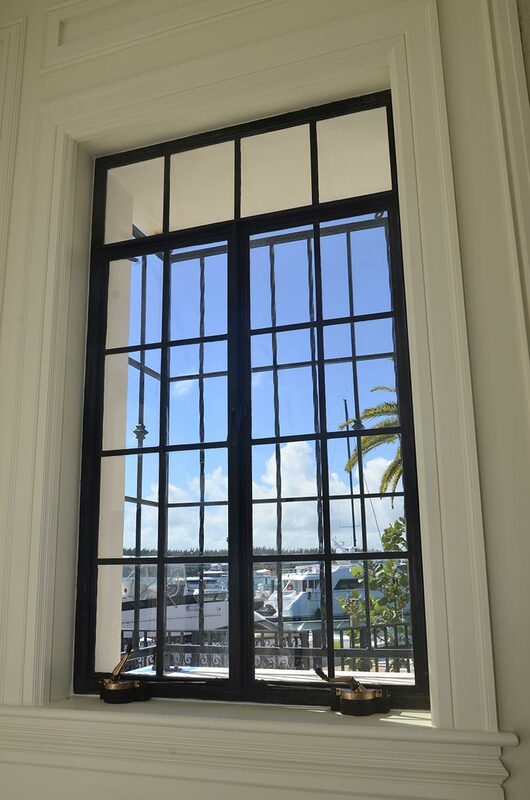 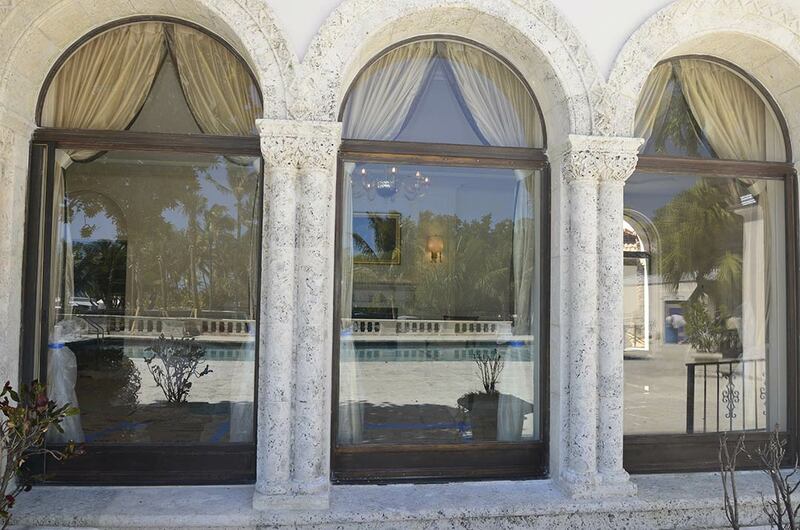 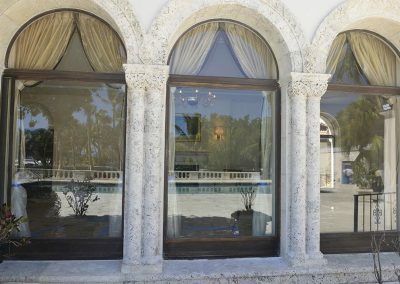 William K. Vanderbilt II’s mansion on Miami Beach’s Fisher Island is a Mediterranean revival structure built of local oolitic limestone with windows and doors framed in patinated cast bronze. 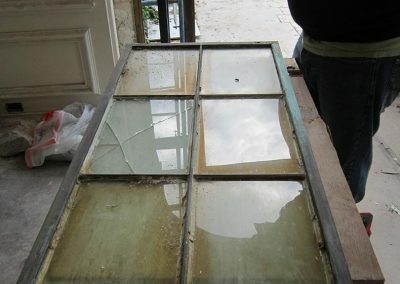 Over the years, the salt air of the island setting had corroded the window frames. 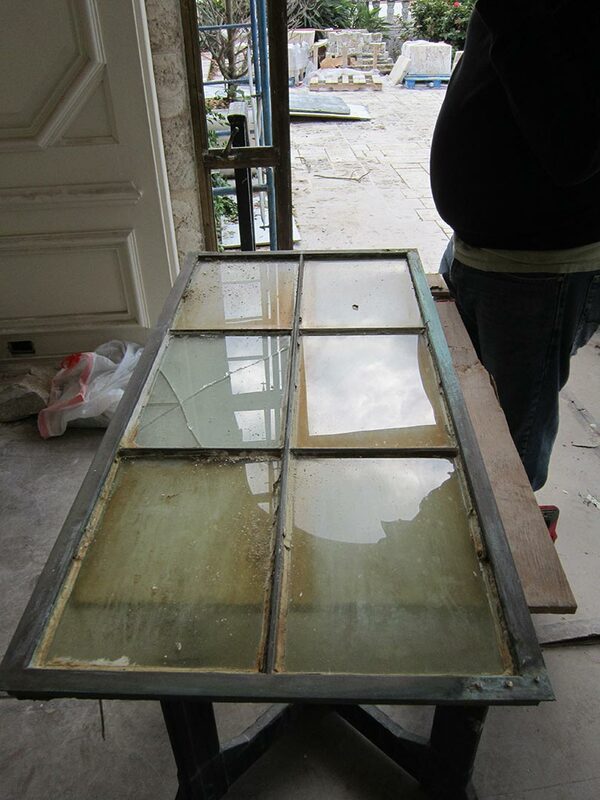 Misguided and overzealous cleaning programs had stripped much of the patina, leaving a streaked and pitted surface. 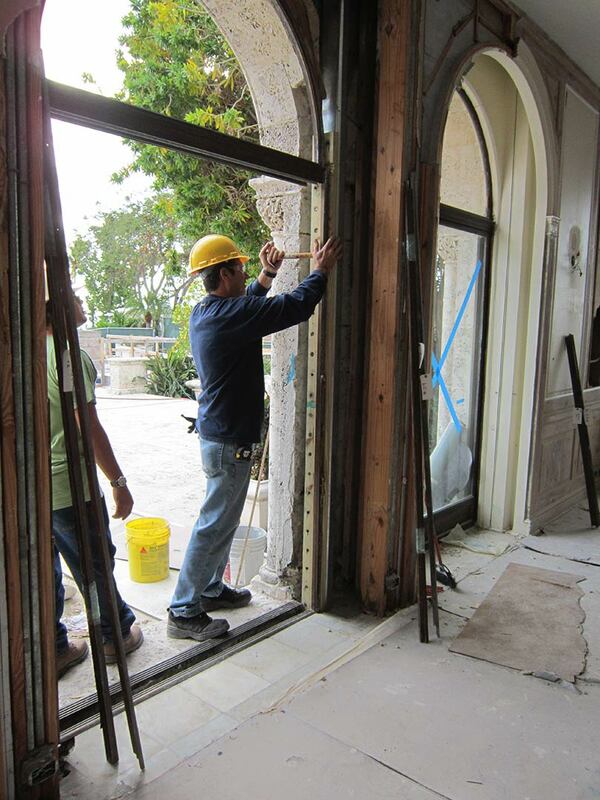 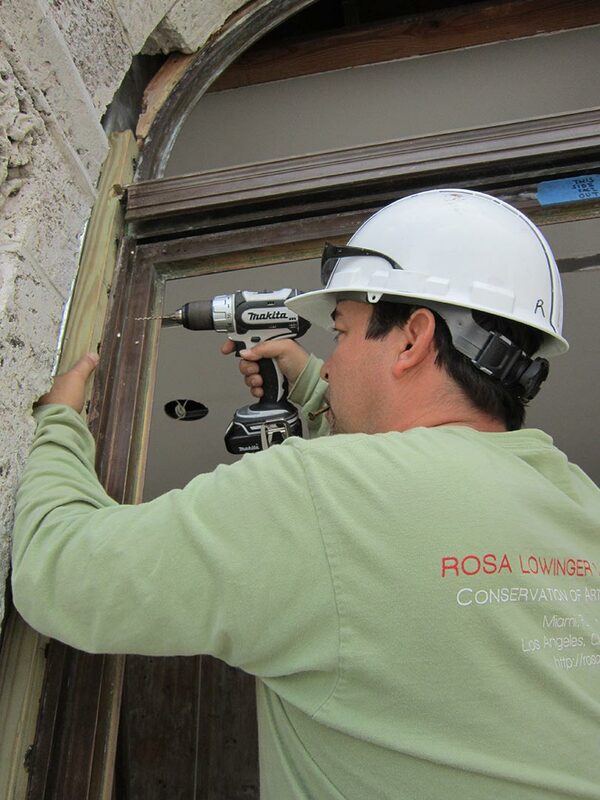 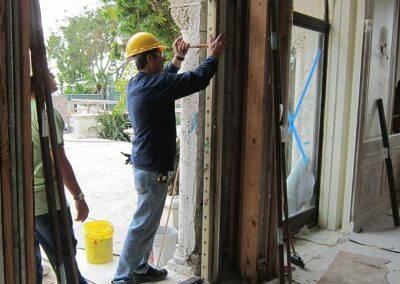 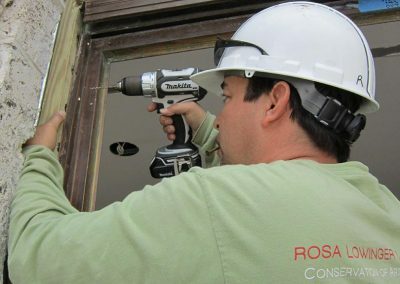 RLA was hired to clean, repair, and reglaze the windows as part of the mansion’s restoration in 2012-13. 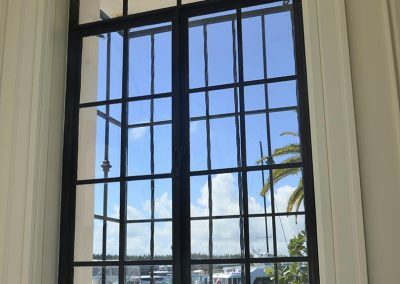 Using historic photos and evidence found on the windows themselves, RLA correctly identified that the finish was patinated bronze, not high polished metal as had been thought. 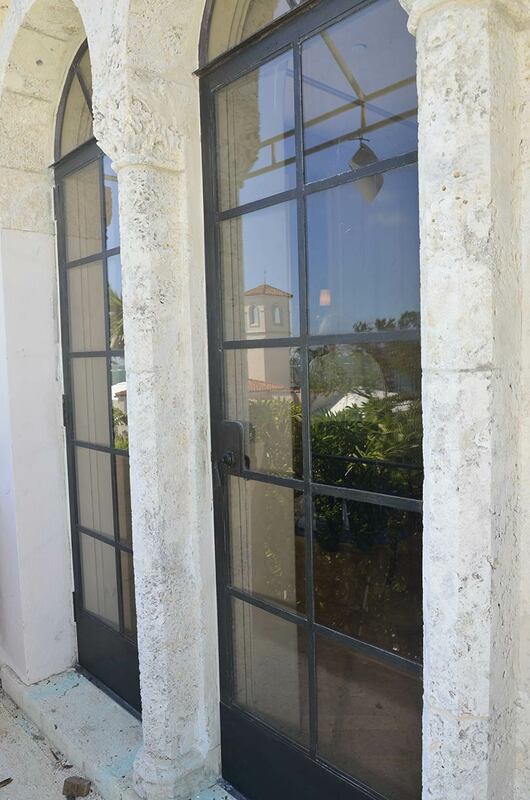 We removed all of the windows, removed the damaged glazing, replaced broken glass and missing fixtures with newly sourced historic elements, including some that we had to modify ourselves to match the originals. 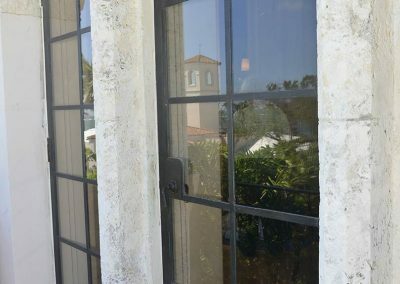 The conservation of the bronze itself included cleaning, stripping old wax coatings, removal of corrosion, passivation, repatination, installation, and caulking to produce a water seal.